Out of a Zabeel mare who has had one foal to race for one winner - over 2000m. Bought from NZ's Premier Sale and to be trained by Hayes, Hayes and Dabernig out of Lindsay Park! What a recipe for a strong staying type - this colt has the 3yo classics written all over him and hails from a tough staying family! Knocked down for just $80,000 we have found ourselves an strong colt with plenty of scope. He caught Peter Moody's eye early in the process and we are wrapped to be bringing him home. Lot 35 NZ 2017 - TAVISTOCK COLT from Dalziel Racing on Vimeo. NZ 2017 Lot 35 in Ring from Dalziel Racing on Vimeo. Nathalie Falmet (f. by Iffraaj). Winner at 2000m in NZ. Cheshire (Cape Cross). 2 wins at 2000m, 2100m, 3d ARC New Zealand Derby Trial S., L.
BEL SORRISO (Keeper). 8 wins-2 at 2-from 1200m to 2200m, NZ$181,985, to 2016-17, WRC Thompson H., Gr.3, Parliamentary H., Magness Benrow Gold Cup, Wanganui JC Foxton Cup, 2d WRC Trentham S., Gr.3, Manawatu RC Hylands Sportswear H., Taranaki RC Energy City Ford H., 3d WRC Lone Star Parliamentary H., Hawkes Bay Taradale Club H.
SIRSTACI (Silver Dream). 9 wins from 1200m to 1600m, NZ$340,792, ARC Easter H., Gr.1, CJC Stewards' S.H., Gr.3, ARC Newmarket H., Avondale JC O'Loghlen H., Matamata RC Wrightson Bloodstock H., 2d ARC New Zealand S., Gr.1, WRC Jarden Mile, Gr.1, Telegraph H., Gr.1, ARC Rolls-Royce S., L, Regent of Auckland H., 3d Waikato RC Lion Brown Sprint, Gr.1, WRC Telegraph H., Gr.1, 4th ARC Field House Railway H., Gr.1, Cambridge Breeders' S., L.
Niniane (Casual Lies). Winner at 2, Otago RC Dunedin City Ford Juvenile S., 2d CJC South Island 2YO S., L, The Jogger Juvenile S. Producer. DEANE MARTIN (Keeper). 6 wins from 1600m to 2400m, NZ$135,050, A$89,300, ATC Colin Stephen H., Gr.3, ARC Champion Stakes Prelude, L, Westbury Karaka Stayers Cup, Waikato RC Dunstan Feeds Championionship Qualifier, 3d ATC Kingston Town S., Gr.3, 4th ARC Avondale Gold Cup, Gr.2. SMILING LIKE (Star Way). 7 wins. See above. (MR) EUROSTAR (Star Way). 11 wins-2 at 2-from 1200m to 2400m, NZ$124,115, A$406,758, AJC Summer Cup, Gr.3, Cambridge Breeders' S., Gr.3, STC Parramatta Cup, L, 2d QTC Brisbane Cup, Gr.1, PJ O'Shea S., Gr.2, BOP RC Japan-New Zealand International Trophy, Gr.2, Manawatu Cup, Gr.3, 3d VRC Turnbull S., Gr.2, Geelong Cup, L.
Her Royal Highness (Imposing). 7 wins to 1300m, ARC Superliquorman Sprint H., Avondale Function Centre H., Avondale JC Disneyland H., 2d BOP RC Personalities' S., L, 3d ARC Railway H., Gr.1, Newmarket H., L.
Equuleus (Volksraad). 2 wins at 1200m, ARC Novotel Ellerslie H., 2d WRC Lindauer H., 3d Matamata Breeders' S., Gr.2, Waikato RC Guineas Trial. Producer. Usha (Star Way). 2 wins at 1200m, 1600m, Manawatu RC Schweppes H., 2d AJC Adrian Knox S., Gr.3, 4th Masterton RC Lowland S., Gr.3. GREENMAILER (Star Way). 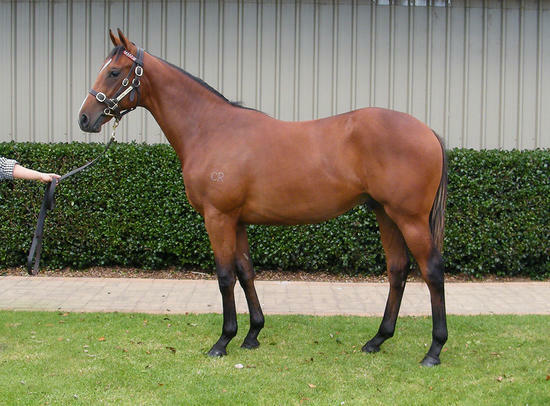 Winner at 2000m, A$79,368, STC Kingston Town S., Gr.3, 2d AJC Edensor Park H., Surrey Hills H.